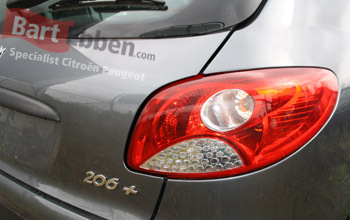 Looking for used car parts Peugeot 206? 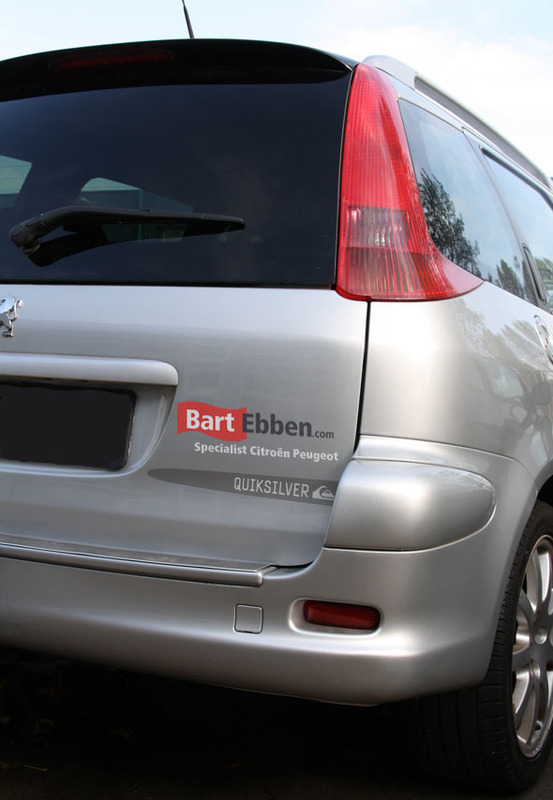 Bart Ebben has a huge warehouse filled with affordable Peugeot 206 used car parts. 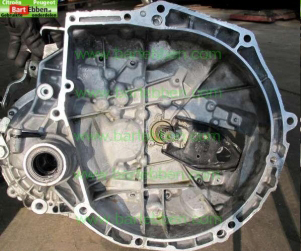 All of the common 206 auto parts are available either used or new. Not only for the hatchback but for the Peugeot 206 SW, 206+ and 206 CC models as well. We also stock parts for the special series like the XS, RC or Quicksuilver editions. 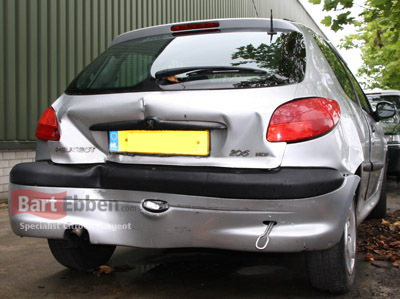 There is a great variety of used car parts Peugeot 206 from an engine or gearbox to a bonnet, door, side panel, headlight, rear light or bumper and from an ECU to a drive shaft, driver seat, dashboard or shock absorber. 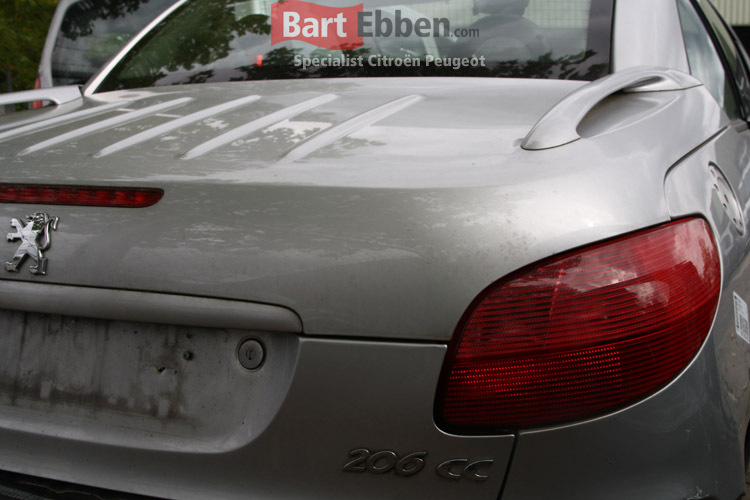 Differences in used car parts for the Peugeot 206 SW and 206 cc models are carefully documented, so just ask us what you need. Our range of parts nearly covers everything. One of our specialties are the Peugeot 206 rear axles we sell repair sets, or complete replacement axles both new an used. This way you can solve a common 206 problem at a reasonable price. Our salesteam will be happy to help you find the right used car parts Peugeot 206, just send us a car part request and we will get back to you soon. Availability and price information will be sent to you by email shortly. Prefer searching car parts yourself? 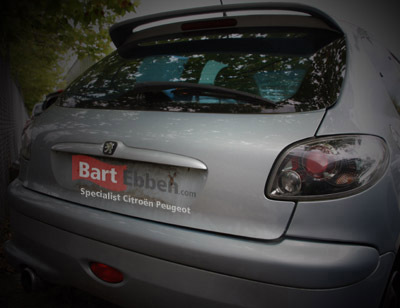 An extensive overview of our Peugeot 206 used car parts can be found in our online catalogue. Used car parts can be shipped worldwide, we ship spare parts to destinations all over the world on a daily basis. 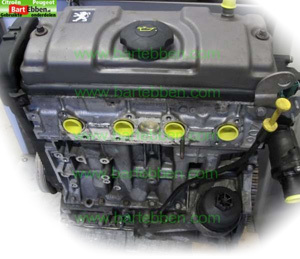 The spare parts are packed very carefully and we work with selected automotive shipment companies. Note: Sparkplug cables is called "bougiekabels" in Dutch.